Enter to win a free pair of One Tribe Apparel pants of your choice! These harem pants are not only absolutely BEAUTIFUL, they are extremely comfy. The material is so nice and thin and soft... They have tons to choose from, and also have leggings too! What I love about these pants is that they can be worn as pj's, as yoga pants, or in a real going out outfit. See my blog post here for a full style post. Each pair of pants sold at One Tribe Apparel helps provide education to Burmese refugee children. Enter through the widget below. Winner will be contacted shortly after giveaway ends. Ixchel Triangle is giving away this beautiful handmade bag. It's a perfect travel bag, big enough to fit all your essentials for a weekend getaway. It comes with a long strap you can use for over your shoulder, or it can be used and a handbag. Made from a traditional Guatemalan Huipil. Enter through the widget below. Winner will be contacted within a few days of giveaways closing. My favorite shoe company, Blowfish Shoes, is bringing my sweet readers another rad giveaway! One winner will get to choose any pair of shoes from their new fall line! Enter through the widget below. Winner will be emailed after giveaways closing. In case your curious, all Blowfish Shoes are vegan! Today's giveaway is from Society of Chic, an online boutique that curates bohemian clothing and accessories. 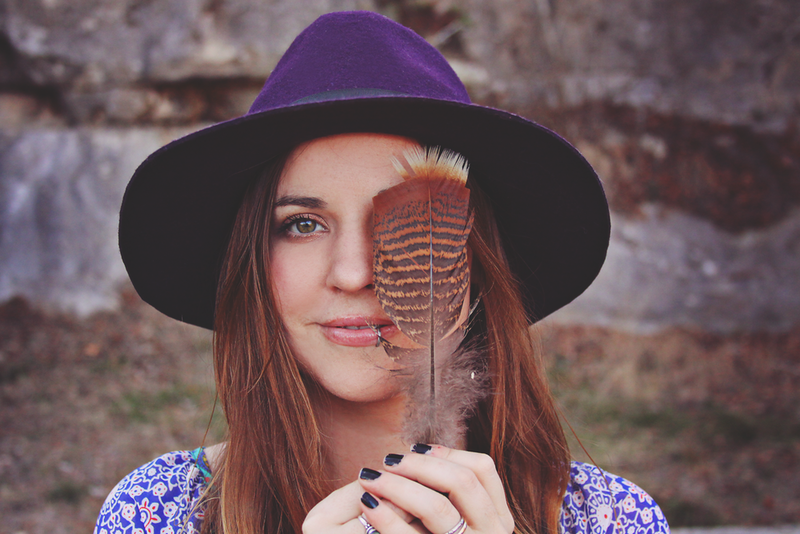 They are giving one Roots & Feathers reader a $100 Gift Certificate to spend in their shop! Just enter through the widget below. Runs for one week. Winner will be emailed shortly after closing.